An absorbing array of Formula 1 cars spanning the entire history of the World Championship as we know it, from 1950 to very recent seasons (there won’t be any 2015 racers there because of ‘testing’ restrictions), provides visitors to the Festival of Speed with a visual and aural history lesson like nowhere else. Slippery, front-engined beauties from the 1950s – think Maserati 250F and Mercedes W196 – and modern-day rocketships complete with complicated aerodynamic appendages and high-revving V8 powerplants bookend the line-up. And, as is traditional at this petrolheads’ nirvana, nestled in between you’ll stumble across cigar-case, monocoque masterpieces of the mid-’60s such as the luscious and lightweight Lotus 25, as well as the 1000bhp-plus turbocharged expressions of excess from the ’80s. Expect a black-and-gold Lotus-Renault and a red-and-white McLaren-Honda or two to stop you in your tracks – each with ‘Ayrton Senna’ inscribed on their flanks for added jaw-dropping. Somewhere in among that lot, however, comes a separate class for an era of F1 that defines a generation and rarely polarises opinion, whatever your age and regardless of whether you were there or not: the 1970s. Race fans young and old eulogise about this decade of wedge-shaped noses, high airboxes, massive wings and fat slicks, not to mention long hair, sideburns and flared team trousers. But there was another constant during that time, one that came with an evocative soundtrack that stirred souls then and stirs memories now, 40 years on: the Cosworth DFV – for many the greatest racing engine ever built. 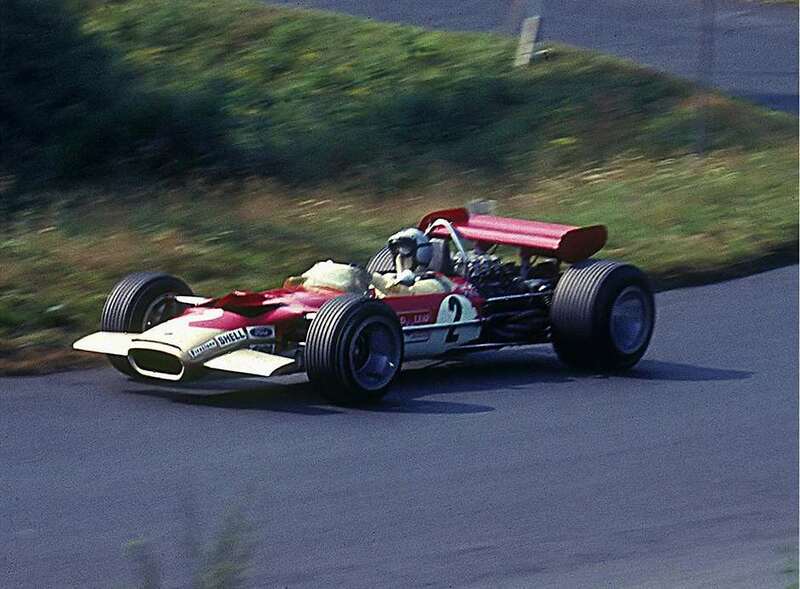 Thanks to a pioneering turn of events in 1967 involving former Lotus engineers Mike Costin and Keith Duckworth and a pot of cash from Ford, an off-the-shelf, three-litre V8 engine that perfectly married power, packaging and price became the motivation of choice for the majority of teams in this popular period. 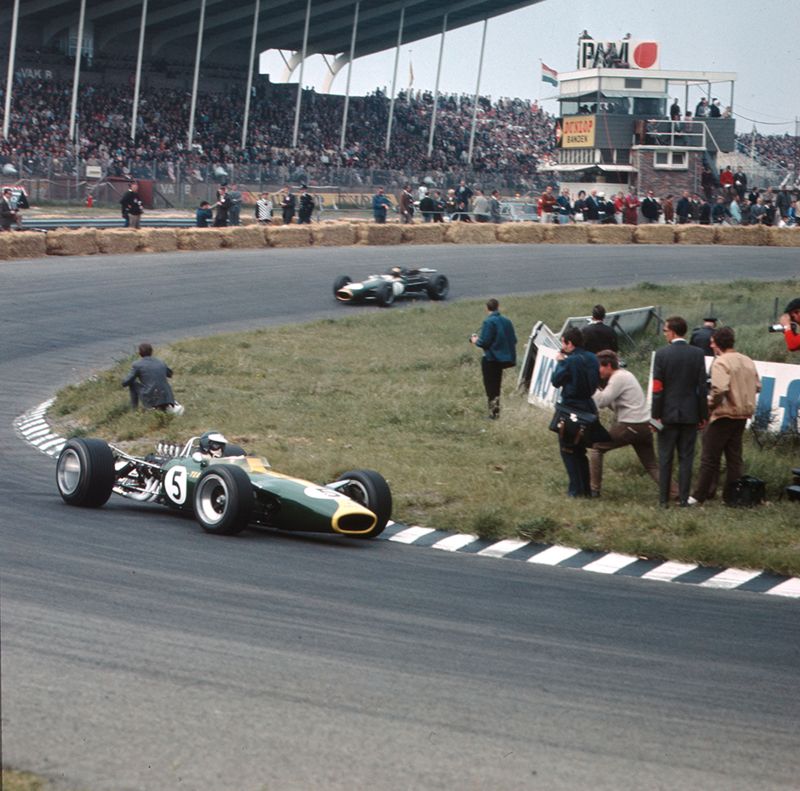 When Jim Clark and the all-new Cosworth DFV-powered Lotus 49 won the Dutch Grand Prix at Zandvoort 48 years ago today (June 4), the F1 goalposts were dug up and moved to another, bigger pitch. And the ubiquitous Double Four Valve motor kept on winning, courtesy of McLaren, Matra, Brabham, March, Tyrrell, Hesketh, Penske, Wolf, Shadow, Ligier and Williams, until 1983. Derivatives of the concept, albeit with an extra two cylinders added on, were still racking up wins 20-years after that. With examples of distinctive racers from some of those winning squads, most of them British, on show at Goodwood – in demos on the hillclimb course and in static displays around the site – there’s no excuse for failing to immerse yourself in Cosworth DFV heaven.